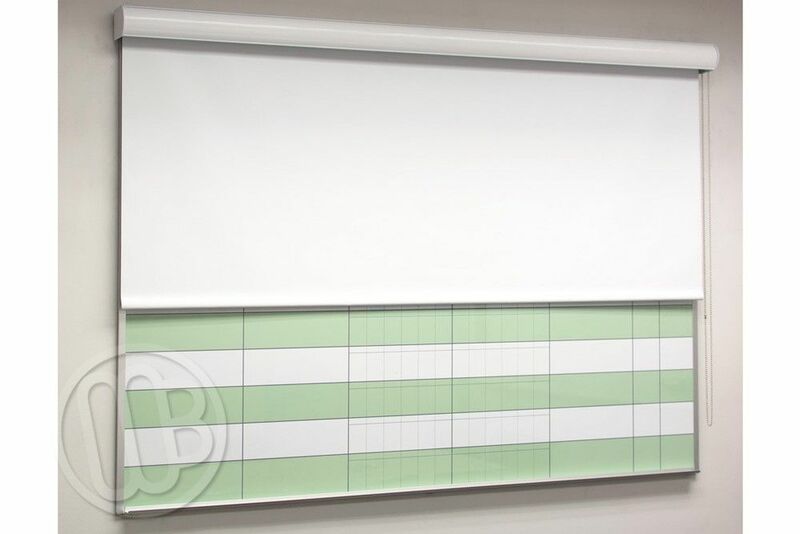 Introducing the HideAway® Whiteboard Privacy Screen from OptiMA. 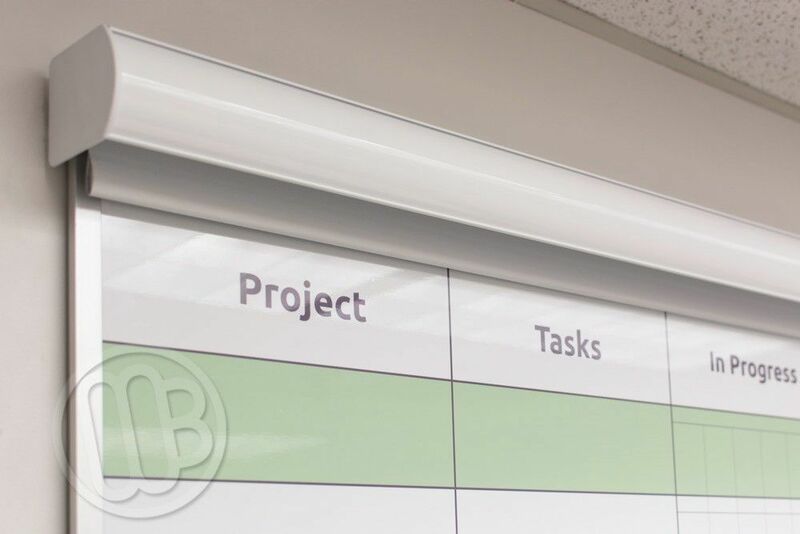 The HideAway® allows you conceal sensitive information on whiteboards or scheduling boards from prying eyes with ease. 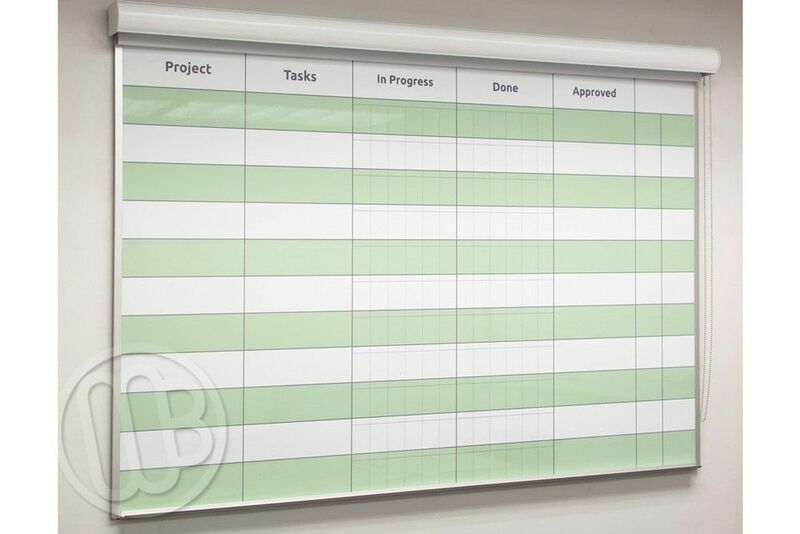 How many times have you had sensitive information on your whiteboard and a visitor shows up. You don't want to erase your whiteboard but you really don't have another place to take your meeting. 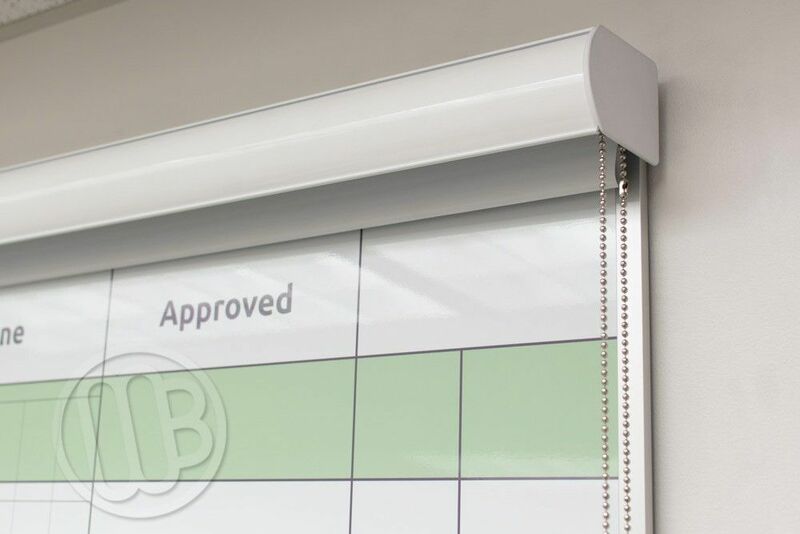 Now you can simply lower a white fiberglass shade down over your whiteboard protecting it's contents and allowing you the ability to use the room with full confidence that your information is secure. It's a projection screen! Here is an added bonus. 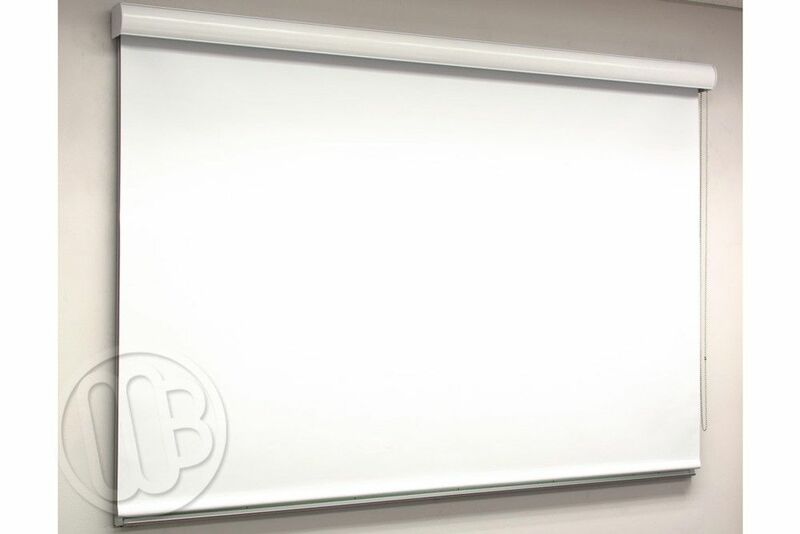 The HideAway® Whiteboard Privacy Screen also acts as a projection screen. The fiberglass shade material works excellent as a projection medium so now you can add slide presentations, PowerPoint presentations and more to the meeting. 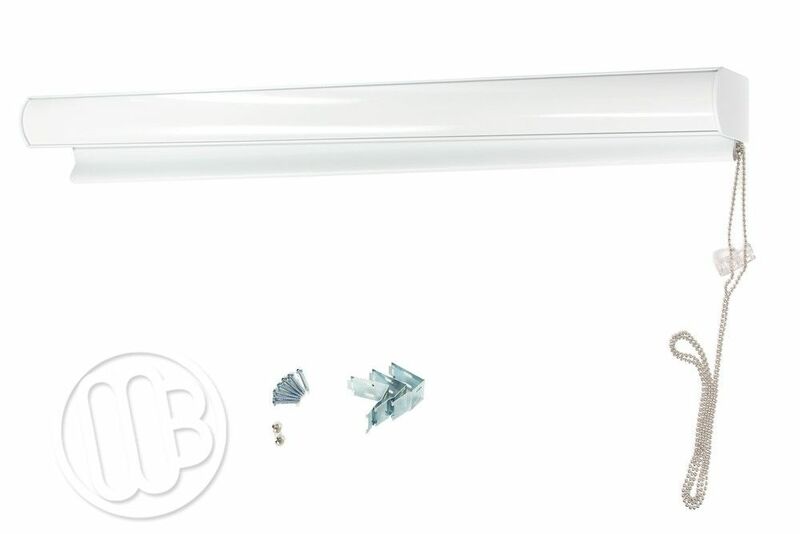 Available in three convenient lengths of 4', 6' and 8' with a smooth operating clutch mechanism that raises and lowers the fiberglass screen with ease. 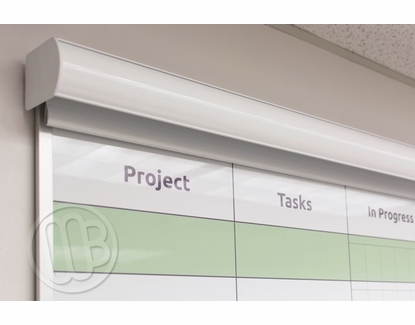 Made in the U.S.A. and available exclusively through OptiMA Inc. the HideAway® is the perfect whiteboard accessory for any office. HideAway® is a Registered Trademark of OptiMA Inc.
Normal lead-time of about 2-3 working days. Large orders may take longer. This was exactly what we needed for our office. It was very easy to install. When I opened the box I will missing the instructions and an end piece for the screen. I spoke to Tanya with customer service and everything was immediately taken care of. She was able to email me while I was on the phone to confirm the instructions were for exactly the item I purchased and she immediately shipped the missing piece. I was very impressed with the product and company! The privacy screen fits perfectly, was simple to install and is aesthetically pleasing. It looks very professional and is clearly a very high quality item. Thank you to MyWhiteBoards for this awesome solution. I highly recommend! The screen is great. Just as described. The only problem was there were several broken parts, but I called customer service and they quickly sent over the new parts so that was great as well.